On the morning of December 5th, 500,000 people from Bozhou City, Anhui Province, China, attended the Wu Qi Xi group demonstration. 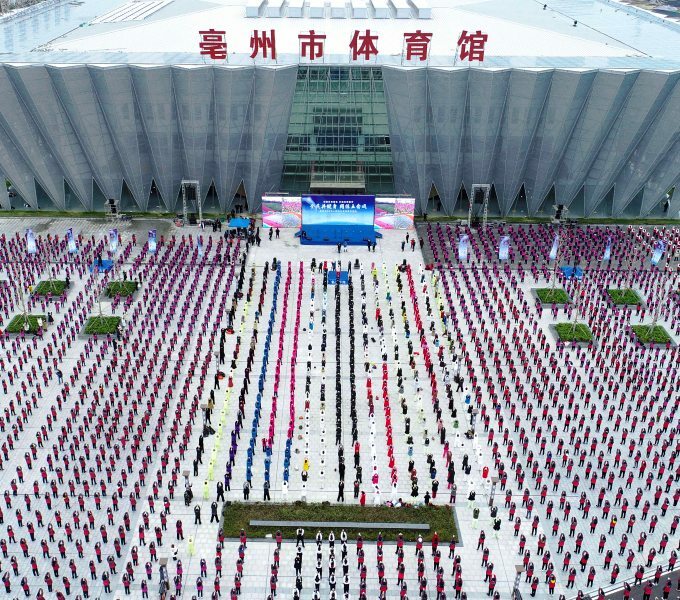 During the event, more than 10,000 enthusiasts gathered in the main venue - Bozhou Stadium Square, while practicing the Health Qigong Wu Qi Xi together. 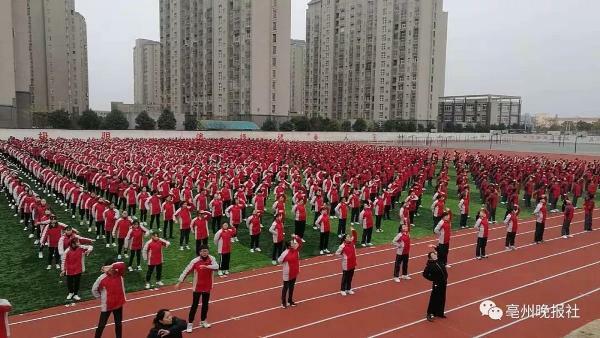 The teachers and students of more than 1,000 urban and rural schools in the Bozhou city were practicing the Wu Qi Xi of the primary, middle and high schools versions at the same time. The total number of practitioners has exceeded 500,000. 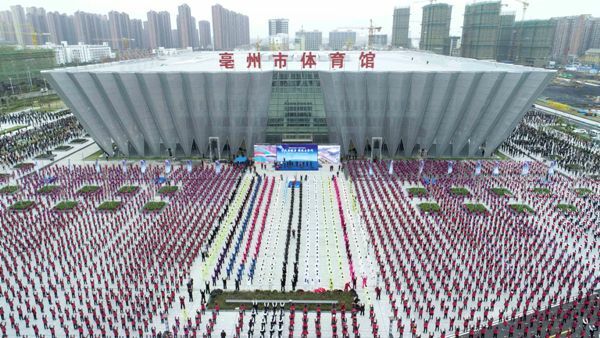 The scale of the number of people, the number of venues would be the first time in the whole country, and it also created the history of the public fitness history of Bozhou. As the only hometown of Wu Qi Xi in China, in recent years, Bozhou City has firmly grasped the great opportunity of the Wu Qi Xi being the national-level non-legacy in 2011, and comprehensively promoted the Wu Qi Xi at government, schools, enterprises, communities, and rural areas. At present, there are 5,600 instructors, 2,200 practicing spots, and more than one million practitioners. 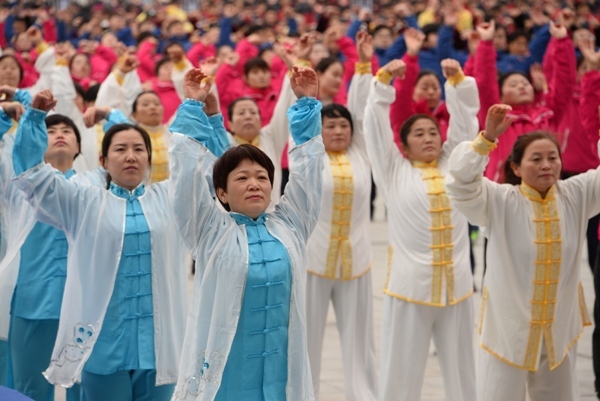 Bozhou City has been awarded the honorary title of “China's Wu Qi Xi Hometown”, “International Health Qigong Training Base” and “International Health Qigong Wu Qi Xi Capital”by relevant units.